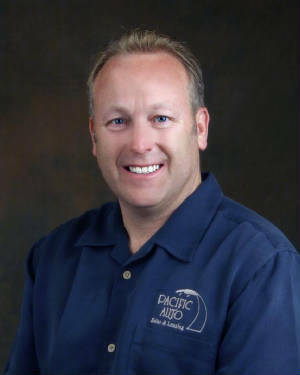 Pacific Auto Sales and Leasing was founded in 1984 and as the owner, I can proudly say that Ours is a business built on great customer service. My professional career in the automobile industry began in 1980. The time I have spent in the Automobile industry combined with my long time interest in cars has given me a wealth of knowledge that I use to help my clients by sharing and educating them about my industry. Over the twenty plus years that I have been working with people to get them into the car they had been searching for, I have had the opportunity to meet so many wonderful people in the Upland community. It was those people I was interacting with personally and professionally that propelled me to get further involved in my community. I have been involved with the Upland Chamber of Commerce for over 11 years serving on the executive board and past president, 2007-08. I also serve on the board for the Upland YMCA, and currently serve on the board for "Steven's Hope for Children". I am a past recipient of the "Small Business Person of the Year" award by the Upland Chamber of Commerce. When I find some free time, I enjoy cycling, golf, snow skiing, and general outdoor sports. I have a wife and two kids, and have been happily married for 27 years. At our Detail Shop, we take pride in going the extra mile for our customers. Since we know that getting any work done that separates you and your vehicle can be frustraing, we work around your schedule to service your car quickly and correctly the first time. Soon we will add photos and names of the staff so they can be contacted directly with questions or concerns.